I remember when I was a kid and orthopedic pillows were avant garde items that chiropractors recommended for their patients. My dad had several throughout the years and they always came from his chiropractor’s office. Nowadays, orthopedic pillows are a commodity that are available in every big box store packaged generically as a solution for a good night’s sleep. While there IS some workability to these pillows they fall short for MOST people. Many times patients stil complain about their arm going numb, the neck being sore in the morning or their back being stiff. Using a pillow that is taller on one side and skinnier on the other so you can choose whether you want to sleep on your back or your side is a step in the right direction. But the reason it USUALLY fails is the tall side of the pillow isn’t nearly tall enough to give MOST patients enough support to sleep on their sides. Then the skinny side is usually too THICK for those who sleep on their back. Think about the normal posture when standing—the head should line up over the shoulders. Now look at the posture when lying down on the skinny side of the orthopedic pillow: the pillow pushes the patient’s head forward into the “granny hump” misalignment. Orthopedic pillows, whether sold by a chiropractor or the knock-off brand at your local big box store, are not “Dr. Erica-approved” as a stand-alone product. If you already have one though, and you are a side sleeper, try building up your pillow by experimenting with several layers of bath towel underneath your pillow. The towel can be folded and re-folded to make the pillow higher, depending on how wide your shoulders are and how much support you need until you do not twist forwards OR backwards while side sleeping. Watch get an idea on how to do this effectively to turn a “not-approved” “orthopedic” pillow into a Dr. Erica-approved item. Slightly more than half of our patients surveyed through the years love their Select Comfort Air mattresses. Slightly less than half of them don’t like it. The air mattress is not a perfect solution—probably because it is not a solid surface. You should be aware that Select Comfort motors break periodically and there is only a pro-rated amount of warranty coverage. Like the warranty you get on tire treads—you pay the portion of the repair based on how long you have owned it. And patients routinely report their mattress naturally loses air throughout the week and they need to re-pump to their desired firmness. So if the motor breaks, the mattress will become useless unless you fix it. Another complaint is the center of the bed has a “no-man’s land.” That is, it’s not part of the air mattress and it’s kind of like a ridge between the two sides of the bed. Maybe you are long past snuggling with your partner If that’s the case, then it probably won’t bug you. Just take note of it when you are in the store. Tempurpedic mattresses may work well if the mattress is newer. But after a couple of years, the material breaks down and a firm pillow setup cannot make up for the fact your body is sinking into the mattress. The fact that Tempurpedic breaks down so soon is why I would really like to veer you away from their products. I used to be a huge advocate. The novelty of the memory foam and the firmness worked well in the beginning of the product’s life. I had several pillows and everyone in my family had bought them as well. We all loved them, in the beginning. But everyone began noticing their pillows weren’t supportive after the two year mark (my mom, dad, uncle, grandmother, sister, husband, you get the idea?) This was so consistent as to become predictable, even with patients who had purchased them, too. At the time, I was ordering directly from the manufacturer located in Lexington, KY, long before you could find their products at any retail location. Back then, Tempurpedic was not willing to uphold their warranty on the product, which was stated to be well over 2 years. I fought with them to get one pillow exchanged. But for what? For it to deteriorate again in 2 years? Tempurpedic products are quite expensive to be replaced every two years. Back when I was selling them, a typical queen pillow was easily $100. I think you could spend upwards of $200 on the extra thick, long version. A $200 pillow better last a LONG time! Also, I had the Tempurpedic mattress. It was the SAME story as the pillows. A little over 2 years after using it nightly, I was consistently waking up with neck pain. That is not a very good testimonial being a chiropractor who focuses on structural correction. So I moved the Tempurpedic bed to the guest room and swiped the new, “cheap” firm mattress I had bought to put in there. It was called Doctor’s Choice by Denver Mattress. I’ve been happily using that mattress since 2002. No pillow-top either. This one point has been a continual point of frustration for patients through the years. The soft topper has an interesting purpose–to make a firm mattress soft. The pillow tops wear out so fast though. If your mattress is less than 10 years old but it is sagging, it is likely because the pillow top has lost its integrity. 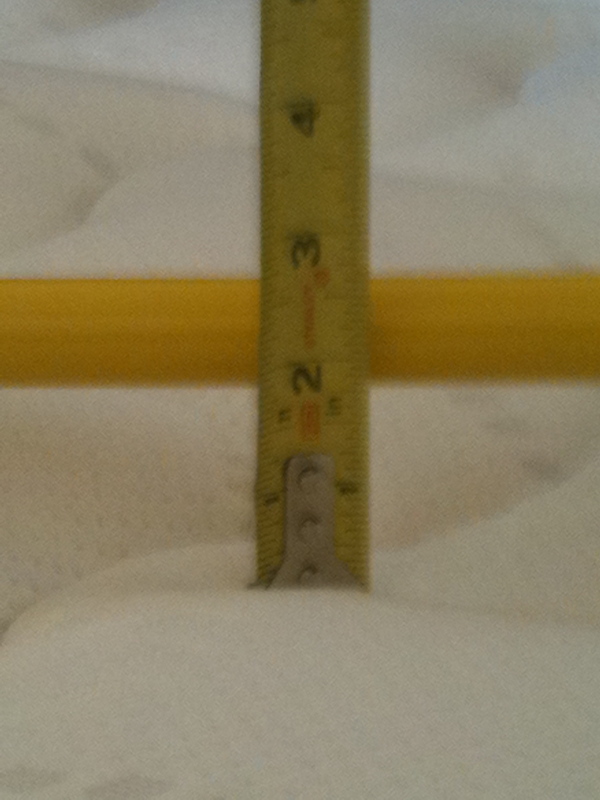 I know of some mattress warranties that will replace the mattress if there is greater than 1.5 inch sag. I have seen the 1.5 inch sag wreck a patient’s results after every visit. I will literally fix the pain in the hip and down the leg and it will stay fixed until the patient wakes up the next morning. After long enough the patient becomes convinced it is her nerves or she needs an epidural. But no! She merely had a sagging mattress! Fixing that will keep her structure stable between visits so she can finally make the progress that she should. From a structural standpoint, I would avoid the Intelligel bed for the same reason to avoid the Tempurpedic. If you give it a try and it helps, then great. If after attempting the pillow instructions and experimenting with different mattresses your pain is still worse during or after sleeping, you need to see a structural correction expert. Advanced Biostructural Correction™ is the best method for realigning your structure. Adjustments relieve inflammation and pain by taking pressure off of joints that aren’t designed to handle it. That will ultimately allow you to get more comfortable while you are lying down. Better sleep is a consistent, positive side effect for our patients. Surveys show that it is one of the most common benefits. Wearing orthotics to correct only the arch of the foot neglects the misalignments of the whole skeleton. Arch supports throw off your mechanics and actually give you bad posture. You’ve probably always heard you should have “support”. And most shoes you buy have an insole with some bump for the arch. But many people test poorly with this set-up, as demonstrated on actual testing (see the Standing Movie). So I find it necessary to remove most factory insoles and replace them with a flat insole that doesn’t have a bump. Insoles that ride up over the instep of the shoe also have the same problem. The insole needs to be trimmed down so the insole lays flat on the bottom of the shoe. These brands have a built-in arch in the base of the shoe. These shoes are not fixable. When people are frustrated with pain, I know they are more likely to just “try something.” But I can tell you these shoes throw the mechanics back out of place every time. It’s possible that your custom orthotics, store-bought orthotics, clogs, or Birks are supporting whatever your current alignment is and actually gives you some pain relief. And that is fine. Why mess with something if it is working for you? So it is possible that changing your arch supports, orthotics or heel height without getting ABC™ adjustments could aggravate your pain. But why rely on an exact pair of shoes to “fix” your pain? It’s not really “fixed.” The tension in your body is merely shifted to another area that hasn’t been twisted long enough to start hurting. If you are having foot pain, numb feet, plantar fascitis or Morton’s neuromas, try our initial plan of care before resorting to surgery, injections or orthotics. Most patients have spent anywhere from $400-$800 on orthotics. Why waste that money when you can spend a little more and not be committed to wearing a clunky orthotic every day for the rest of your life? Many patients have responded extremely well. Patients routinely have foot complaints and some patients even neglected to tell us about a foot pain during their consultation because it wasn’t their main complaint. But within a few adjustments they reported that their foot or ankle stopped hurting and the numbness was going away. In the absence of diabetes, previous foot surgery or statin drugs, most people have a very good prognosis for relieving the foot pain or numbness associated with bad posture by using the ABC™ protocol. There certainly is an ideal heel-to-toe ratio for each patient. Wearing shoes that are too flat or much too tall will equally lead to problems. High heels are the absolute worst if you are seeking pain relief. For most women, I’ve noticed that regular use of high heels leads to increased neck pain that can become severe, especially when wearing high heels right after an adjustment. That’s not to say you can’t ever wear high heels again. But when patients are in pain relief mode, I advise against it until things stabilize. Flip flops (shower shoes) don’t offer any heel height. The flimsy nature of the shoe doesn’t support the foot as a whole. And brands like Teva usually have a built-in “bump” where the arch support would go, making things even worse. Flip flops enhance your slumped posture. Want to look more like your grandmother even quicker? Keep wearing shower shoes! Slumped posture, which is enhanced by extremely low heels, tugs on the spinal cord and on the nerves as they branch off of the cord, increasing pain and numbness levels. It also prevents proper unwinding and causes setbacks for patients under ABC care. The front end is curved up which raises your toes higher than your heels. This foot position is termed a “negative heel”. Unfortunately, if you wear these kinds of shoes without fixing them first it messes with your whole body posture and makes you lean forward, even more than flat heels. One of the most important things to understand about getting your body fixed is this: When your body leans forward then it doesn’t work as good or feel as good as when it is upright.